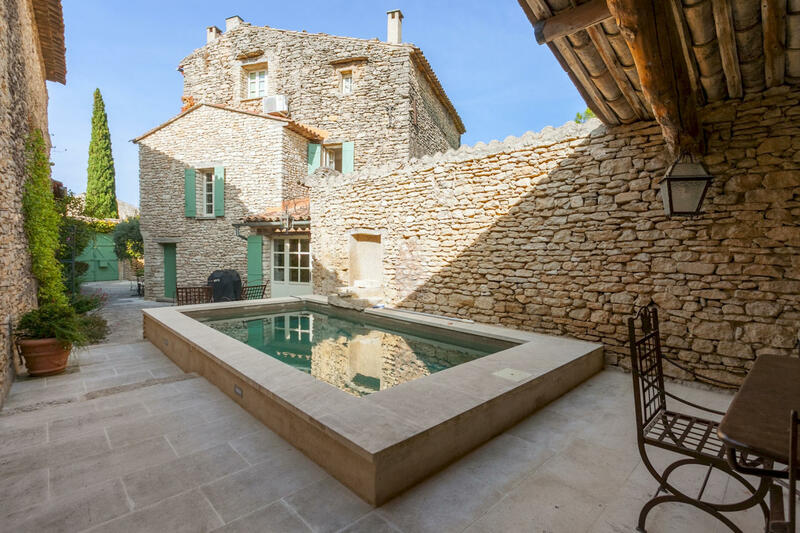 Located in the heart of the beautiful village of Cabrières-d´Avignon, near Gordes and other perched villages in the Luberon, is the 220m2 villa named LA VILLAGEOISE, completely restored in an authentic Provencal spirit. The entrance leads to a vaulted lounge/dining room. 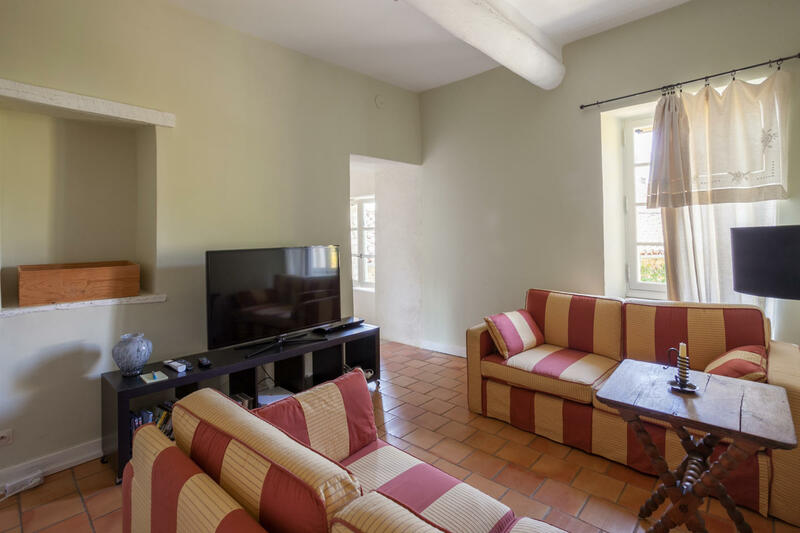 The living room has 6 armchairs, cable and satellite TV, stereo, DVD player and wifi internet access (which you will have throughout the villa throughout your stay). The entrance also gives access to the fully equipped kitchen: kettle, freezer, refrigerator, oven, toaster, toaster, microwave, kitchen utensils and dishwasher. A guest toilet is also located on the ground floor. And a second dining room that can accommodate up to 8 people around a beautiful real wooden table. A 2nd entrance is possible from the swimming pool and the garden. Upstairs, LA VILLAGEOISE has 3 bedrooms on two levels and 2 bathrooms, all of which can comfortably accommodate up to 6 people. - Bedroom 1 and 2 : 160 cm bed and two 90 cm beds share a bathroom with bath and shower as well as a laundry room with washing machine, dryer and iron at your disposal during your stay, independent toilets and a lounge. 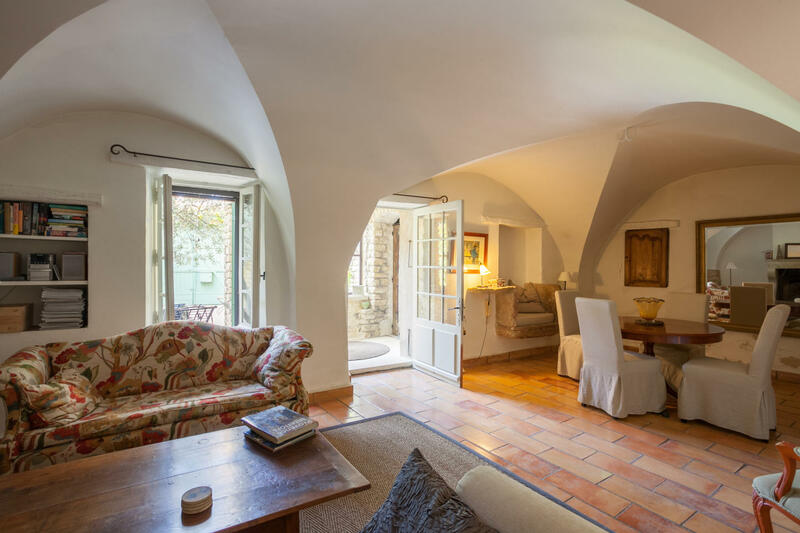 One of the two rooms overlooks a charming terrace with a bistro table to sip your morning tea or coffee and enjoy the mild Luberon air and a fireplace. Outside, LA VILLAGEOISE offers you the charm of the old and the modern comfort. The 210 m2 landscaped and paved courtyard houses a garden and a 5 x 3 metre swimming pool, surrounded by deckchairs and parasols. A summer dining room is covered by a canopy and awaits you for good barbecues (gas Weber) with your family. The best part of this superb villa is that you will have access on foot to all the shops (bakery, grocery store, butchery and restaurants...). The house LA VILLAGEOISE is very well located in the village. A real pleasure ! Due to unsecured indoor and outdoor stairs, the house is not recommended for young children.